Darcy has been lead around by her heart condition her entire life. Given the chance to escape the constant worrying of her loved ones, she escapes in travel and, if she can help it, rarely returns home. Biding her time with bartending until she can renovate her grandmother’s house, Darcy comes home one night to find the best man she has ever known on her doorstep. With everyone she loves counting on her to run away, Darcy decides it’s time to show them all just what she is made of… tempting Tom included. Tom loves the Barrett family as his own, and would never do anything to upset them or let them down. Determined to renovate the family home to perfection, he harbors a few secrets along the way to keep things uncomplicated… until they’re anything but. This book was such a delightful multi-faceted read. From Darcy’s entertaining personality and take no BS attitude, to her inner self-loathing that she hides so well, I loved her for being a complicated and genuine character. With a hard to understand relationship with her family, to her utter devotion to Tom, I was left in complete turmoil waiting for what would happen next on the Darcy stage. 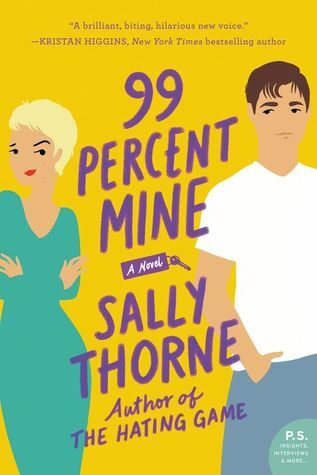 With a slow burn romance and sexual tension heating up the pages, I loved rooting for these adorable characters to learn how to be true to each other… and themselves.